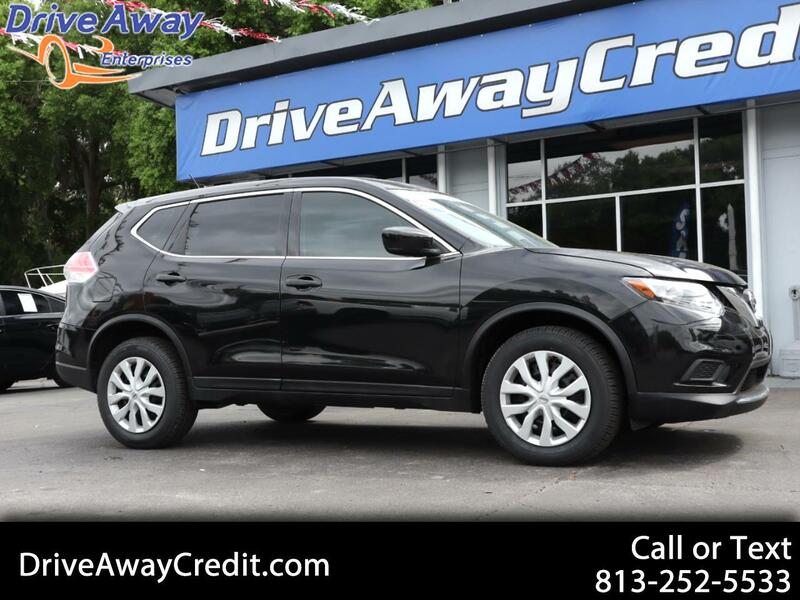 Beautiful in Black, our 2016 Nissan Rogue SV comes highly recommended as an optimal blend of versatility, utility, and comfort. Powered by a 2.5 Liter 4 Cylinder that offers 170hp while connected to an advanced Xtronic CVT for amazing passing maneuvers. You'll love the way you feel in our Front Wheel Drive crossover and will no doubt appreciate the impressive efficiency of 32mpg on the highway. The upscale exterior of our Nissan Rogue SV features beautiful proportions and elegant contours that are enhanced by alluring wheels, LED daytime running lights and a rear spoiler. Loaded with thoughtful amenities to fit your lifestyle, the handsome interior is spacious and refined. Check out the advanced drive-assist display, rearview monitor, power windows/locks, dual-zone automatic climate control, an integrated key with remote keyless entry, 40/20/40-split rear seat, and the class-exclusive Divide-N-Hide cargo system. You'll love the AM/FM/CD audio system with a color display, 6 speakers, USB connection port, and illuminated steering wheel mounted controls.